Foot Locker gift vouchers are combinable in one single purchase. 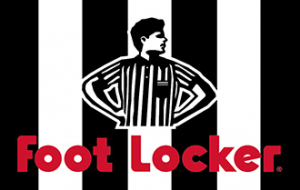 Please print your voucher before shopping at Foot Locker. This card can only be used for purchases at a Foot Locker or Kids Foot Locker store in the country of issue. The card has no value until a balance is acquired. The Card cannot be exchanged for cash and will not be replaced in case it is lost or stolen. When using this Card for purchases, automatic deductions will be made to its balance. You can check the Card’s balance at the moment of purchase, or at any time at a Foot Locker store or by calling 0808-234-3293.